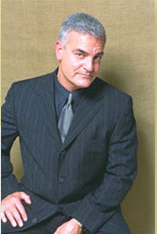 Bill Spitale’s Integrated Hair Solutions was founded in 1960. In the ensuing forty years, we’ve grown to become the Rochester area’s leading specialist in non-surgical hair replacement. In fact, in 1998 we were ranked number one by “Who’s Who in Hair Replacement” -an organization that rates and ranks hair replacement specialists in the United States. Now in its second generation of family ownership, our expertise has expanded beyond simple cosmetic hair replacement to include addressing complex medical hair replacement needs for men, women and children. Trained at his late father’s knee, Bill Spitale has traveled nationally and internationally training other technicians in the art and design of hair replacement products. Widely consulted by Aderans, the industry’s leading manufacturer, Bill has played a leadership role in the development of many of today’s best hair replacement products. As a Master Hair Restoration artist and designer, Bill has traveled nationally and internationally lecturing and teaching industry professionals. Philosophy …Hair loss doesn’t have to be permanent. Through education, treatment and the very best non-surgical hair replacement techniques, we’ll give you the confidence you need to live the lifestyle you love. With more than 50 years of experience serving the greater Rochester area, we know hair loss and baldness. We have the latest hair replacement and treatment programs as well as a complete line of hair care products. Integrated Hair Solutions can help you look and feel your best with our customized solutions including Womens Wigs, Mens Hair Pieces, Hair Extensions and Hair Support products. Give us a call and schedule a free private consultation or drop us an e-mail.